When will the US government decide to go after the tax dollars that would be made available through regulation of online gambling? Most understand that money is the only reason they have yet to do it, those taxes that are not currently coming in because they aren’t overseeing it along with the land based outfits filling the politicians’ pockets full of money to continually vote against the idea. Well with the economy in the dump the last year several years the idea has been picking up more and more supporters. 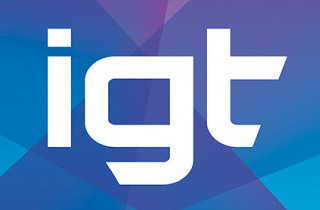 A few weeks ago IGT – International Game Technology which has a major presence in land based casinos and already had an online presence with WagerWorks purchased Double Down Interactive, a maker of video games including slots online. That deal has been reported to be worth around $500 million, that’s quite a substantial investment in anticipation of legalization and not merely speculating. IGT Slot Machines based in Nevada has also developed server-based slots, which can convert a single generic machine into a number of different games based on the user’s preferences giving players instant variety without leaving their seat. Sounds a lot like the convenience one might get while playing from the comfort of their home. This digitally served slot model which was introduced several years ago has been very slow to take hold as it is expensive to retrofit the land based casinos, particularly with unproven technology. The last month the idea is starting to take off, with Pennsylvania voting to let IGT implement its server-based operation statewide. New Jersey will see an influx of server-based slots when Atlantic City’s Revel casino and Mississippi, Michigan, Missouri and California also are using this model. In addition to IGT making investments in an online gaming future another well known online company has also started taking steps to position themselves for that future as well. Zynga a maker of games on popular social sites like Facebook and Myspace has stated that they are currently investigating options and are seeking potential partners for an online gambling initiative. Not sure I would want to gamble on Facebook, but you can’t deny how popular their games are! This apparent rush the last month is seemingly on the coattails of a concession by the US DOJ that the wire act which had previously been quoted as making online gambling illegal in fact only makes sports betting illegal. Some argue that this compromise was made to set the tables for regulation that’s soon to come. Clearly there is plenty of action going on and the growth of online gambling might be about to really take off again. With slot machines already being the most popular form of land based gambling and that of online gambling we might soon find slot machines everywhere we turn.